I like to call the week before a play opens or a film begins shooting “crunch time”. No matter how much time you have given yourself for rehearsals, to prep for a production or how prepared you think you are, this is a stressful week with lots to juggle…and for some reason there never seems to be enough hours in the day to get is all done. For a theatre production this is probably the first time you get a chance to work in the space/theatre you will be performing in. Certain adjustments need to be made to accommodate the new space and sometimes the cast is a little thrown and forget some of the lines and direction they were solid on the rehearsal prior. This is typical and why the term “Bad Dress, Good Show” makes sense. For film during this time you are finalizing details with casting minor roles/extras, rentals, permits, scheduling, gathering props and wardrobe etc. to make sure everything is ready to go for the duration of the production prior to the first shoot day. The most important thing to remember during crunch week is Don’t Panic! Emotions are usually running high and sometimes you are even second guessing the idea of why you wanted to produce your project in the first place. Don’t worry, we all tend to feel that way at some point especially if you are new to producing. Having detailed lists of prop, wardrobe, scene, character and location breakdowns are a life saver. This is where your Production Bible becomes your most important tool to keep it all together. I also like to write additional lists of task that need to be accomplished for each department and check them off as I go. I try to break to big picture down into many smaller and manageable pieces so it’s not so overwhelming. During Crunch Week I try to get lots of rest (but it’s not always realistic) , productions are a marathon and will take everything you’ve got…and them some. I don’t always remember to eat when I am busy so I have to keep reminding myself to so I have the energy to get things done. I also force myself to go for a 20 minute walk each day to clear my head and release some stress. What are some things that you do in order to help get through Crunch Week? I would love to hear how other deal with the stress and the pressure. When in the throws of a production it is easy to get caught up in certain details while other aspects get lost in the shuffle. This is where the “Production Bible” can be a life saver, keeping all the tasks and departments organized. In addition to my Bible I also like to do a weekly “Inventory” meeting with my team (writer, producer, director and other key team members) to make sure we are all on the same page. I start these meeting very early on in pre-production and continue them until the project is complete (not just done shooting or the first mounting of a performance; productions usually go on long after the shoot is over or the first workshop is performed). For my weekly inventory meeting I insist on a face to face meeting as much as possible. This serves as an opportunity to check in with your team and see how they are doing in person. Everyone has a chance to go over what they accomplished the past week and what they still need to tackle in the week(s) to come (securing location, reviewing artwork, going over casting choices, etc). As the producer it is your responsibility to stay on top of your team, to be aware of what they need to accomplish and check up with them regarding progress. 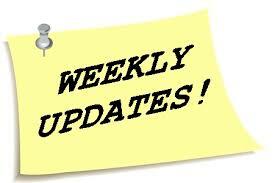 This weekly meeting is an effective way to stay on top of everything without micro-managing. If you don’t have a team yet, these weekly check-ins are still important. Make the time to sit down with yourself and take a look at all the aspects of your production, make notes of what you have, what you need and what you need to do in the following week to stay on track. Use this weekly meeting as a way to be accountable to yourself to ensure you stay on track with the production and stay committed to seeing it through. Remember, this production is your baby and only you are responsible for its life and progress. If you have a question or topic you would like addressed in this blog, please email us at makeyourownbreak@gmail.com and we will discuss it in a post. This isn’t a pleasant topic, but it’s an important one to address. 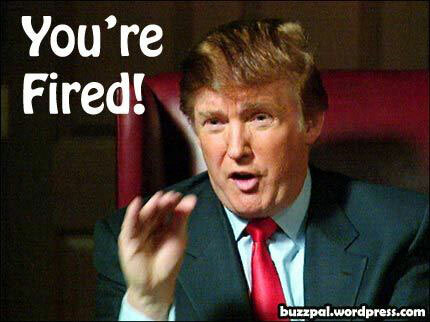 Having produced over two dozen productions over the past decade I have had to use the words “You’re Fired” more than once. I have never wanted to fire anyone, nor is it enjoyable, it’s usually a last resort solution that is necessary to the success of a production. It doesn’t matter if the production consists of volunteers or if everyone is being paid above union scale, you want to hire a team of cast and crew who are committed and invested in the production, even more so if they are not getting paid. A while back I offered an actor a role and he asked me “What’s in it for me?”. He submitted to the casting notice, was fully aware of the scale of the production and the compensation – all the production had to offer was clear. Regardless of his talent I immediately passed on working with him. I went with someone a little less experienced but who wanted to be there because for that production I needed someone whose heart was in the project more than I needed that particular actor’s extra ounce of charisma. Recently I ran into a problem with a website designer who missed a deadline with no notice. I continued to give him the benefit of the doubt and he continued to miss 2 more deadlines and ultimately I had to do it myself. I knew better than to keep him on when the first deadline was missed but had too much on my plate and wanted to believe this guy would come through. He didn’t. Due to my hesitancy to take proper action ultimately I am responsible for the consequences. Sometimes people are so eager to get the job they will exaggerate their skill set/experience and won’t know how to do their job properly which can set back the entire production. Chemistry issues with the cast/crew, sometimes brilliance is packaged in a difficult personality, assess if the friction is worth their contribution. 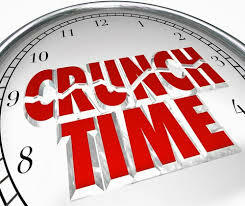 Missing deadlines, if you are notified prior to the deadline you can give them the benefit of the doubt, if not, move on, they are wasting your time. Frequently late, this indicates lack of commitment to the production. Not prepared to work – lines not memorized, equipment forgotten, etc..
Doesn’t follow the rules/take direction – there is a certain code of conduct and usually each productions outlines any specific rules, if they don’t respect the rules, they don’t respect you. Firing someone is never easy. It is never a good idea to lose your temper and take things out on the other person. Simply let them know that things are not working out and that you have to let them go. You can simply list the reasons why but don’t attack their character. If you want to give someone a chance to improve and give a warning, do it in a pleasant tone if you expect favorable results, let them know you want them to succeed and they will be more inclined to rise to the occasion. If it is a lost cause, don’t take it out on them, take responsibility for making the wrong choice. For more information about how to STOP WAITING + START CREATING and bring your film or play to life please visit us at www.MakeYourOwnBreak.com or email us at makeyourownbreak@gmail.com for more informations about our Production 101 Workshops for Film and for Theatre and our Production Consulting Services. There are many people involved in bringing a production to life and all roles are integral to the success of your production. Once you have a script to work with, a budget and a timeline you will need to start assembling a team. the size of your team will depend on the size and scale of your production. PRODUCER – in charge of all departments on and off stage and has final say over financial decisions. DIRECTOR – in charge of all artistic/creative aspects of the production and collaborating with performers and entire creative team. STAGE MANAGER – basically and assistant to the Director, in charge of scheduling, corresponding with performers, taking notes on all blocking and direction during rehearsal, keeping track of props and wardrobe (for smaller productions where there isn’t a prop or wardrobe department). The Stage Manager is also in charge of “calling the show” (feeding cast and crew their cues backstage) and running everything once the show opens and the directors job is done. On larger productions the SM may need an assistant or several. SCENIC DESIGN – in charge of designing the setting for the production. CARPENTER/BUILDER – in charge of building Scenic Designer’s plans. 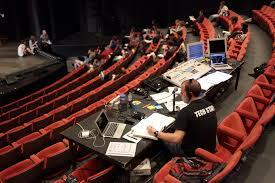 BOARD OPERATOR – in charge of running the lighting and sound cues during a show. More involved productions might have separate people for lights, sound and projection. PROP MASTR – in charge of tracking down/making and keeping track of all props. GRAPHIC DESIGNER – in charge of marketing materials, logos and artwork. PUBLICIST – in charge of press releases, contacting media, getting critics to the show, generating a buzz with print and live interviews with cast/writer/director etc. USHER – in charge of handing out programs and assisting with seating, making sure theatre is tidy prior to patrons arrival. Once your film is in the can or your show is in rehearsals the marketing aspect of your production becomes crucial. Strong visual imagery and a concise tag line are important for attracting people’s attention to your website, fan page and your production be it a screening or live performances. I usually allot anywhere from 1/3 to 1/2 of a production’s entire budget to marketing, because it doesn’t matter how brilliant your production is if no one knows about it. 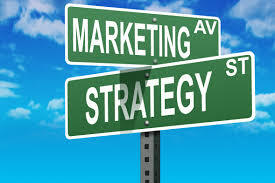 Today with the internet and social media there are many other options when it comes to marketing. Advertising in local papers and putting up posters and flyers in local coffee shops, hang outs and businesses are still effective but much of the marketing today is done via social media and subscription mailing lists. Since so much is done using social media it is important to begin building your brand and online presence early on in the production to generate interest. Today simply having artwork for one poster or flyer isn’t enough. Each social media outlet requires artwork be it Facbook, Twitter, Google Plus, your website, Mailchimp, Youtube etc. and many of these outlets require different image sizes. You will need to have artwork for profile and banner sizes for all your different outlets. It is a good idea to have several different poster/flyer variations so you can alternate on social media with new posts. Production stills are effective for content updates and to make into meme’s, behind the scenes video clips are great for video promos too. When you hire your graphic designer have a list of all the variations in sizes and content you are looking for so you can negotiate a fair price for all the work expected and be clear about deadlines. I would also recommend getting a version of a ll the raw files in case things need to be manipulated for a last minute change or in the event the designer moves onto another project and isn’t available to meet your next deadline. I still believe printed materials can be effective, but before you order 5000 flyers I urge you to consider the realistically if you have that type of manpower. The onus is not on your cast or your crew to market you show (of course they will tell people to come see their work) but it is not realistic to expect them to drive around to coffee shops putting up posters or to stand on the street handing out flyers to strangers. I have personally hung hundreds of posters and handed out thousands of flyers for every play I have produced, but it is my job as the producer to do whatever it takes to make the show successful. I’m not exactly talking about the infamous Janet Jackson moment at the Super Bowl 2004, but I sort of am…Wardrobe malfunctions happen all the time, they are not always a spectacle, but they can cause hold ups with a productions, continuity problems and and even health hazards. Over the past decade and dozens of productions I have seen many wardrobe problems so I felt this was a subject worth touching on. In THEATRE production, have the cast leave their costumes at the theatre (if there is a safe and designated are for it). Sometimes when performers provided their own costumes they like to take them home at night, this seems reasonable until they forget their black dance pants at home or wear the wrong shoes to the theatre. I’ve seen actors back stage minutes before the curtain scrambling for something appropriate to wear. When doing a run, designate someone to be in charge of wardrobe, to collect them and organize them by role after each performance, to wash and mend them when required (depending on the size of a production, this may be the stage manager or it may require it’s own position such as a dresser/laundry person). For a FILM production make sure performers change out of wardrobe for meals. If you are shooting multiple scenes in the same garment it is a good idea to have 2 or 3 of them in case…of spills, talent leaning against wet paint, wardrobe getting caught on a piece of equipment and ripping, etc. Also, don’t let performers walk off set wearing their wardrobe, the may forget to bring it back the next day. As producer your job is to anticipate these problems before they happen so you are prepared for anything, wardrobe included. Wardrobe Fittings are important. Sizes vary in different brands so having the performers send their size isn’t enough. It is always a good idea to have talent try on their wardrobe for each scene prior to the shooting day in the event things don’t fit, look right, or feel ok. If there is movement, choreography, chase or fight scenes make sure wardrobe allows the actor to move, run, dance, kick etc during the fitting. These are not problems to be discovered on set. A few weeks ago I was wearing a wetsuit in a scene. We began shooting at one location and continued shooting in the van as we drove. The wetsuit was tight and extremely restrictive, my chest was compressed in the suit and I couldn’t breath, I had a panic attack. I struggled to tear off the suit while in the car, cameras rolling. I had never worn a wetsuit before and I didn’t try this one on before we began shooting. I borrowed the wetsuit from my fried and I took for granted that it would fit. It did not. I was able to pull the suit on and off to get through the scene, but it was difficult and after the feeling of panic came over me it was a challenge to feel safe/comfortable in that costume. I was lucky, I only had 2 short scenes in that outfit and the production could handle a 10min set back for my panic attack but not all productions are so forgiving. Make sure all wardrobe fits properly, keep close tabs on all wardrobe items for all roles and have backups for continuity in case items get dirty, torn and misplaced. Last week I discussed how casting for Film and Theatre differ. When casting a film production different things are taken into account then when casting like the need for recording the audition. When working in film you want to get a sense of how the actors come across on camera, which might be a little different from how you remember the audition in person. You don’t need to rent the same camera you will be shooting with for auditions, but you do want to record the auditions and review them on screen. For a theatre production, without a large budget, casting is limited to actors who live within driving distance to the theatre. There will be an ongoing rehearsal process lasting several weeks/months and then several weeks of performances, anything beyond an hour commute would be unrealistic to the production’s needs. When shooting a film casting can be opened up to a wider geographical area, many actors will cover their own travel expenses for the opportunity to audition for a film even if it is a low budget or independent production. Filming generally does not require as long a time commitment from the actors either. Training matters. Film shoots are long and difficult, there is the potential for many challenges along the way. Actors spend years training and crafting, respect their artistry and find the best ones to bring your story to life. 1) CAST LIST – Make a full cast list of all the characters with speaking roles, all the characters with non-speaking roles and how many extras (if any) you will need scene by scene. 3) LOGLINE & SYNOPSIS – You will need this for many different aspects of the production, make sure you take the time to make sure these are solid. Actors will want to have an idea of the story, genre and nature of the project before the commit to come audition. 4) SHOOT DATES – Have a list of all possible shoot dates clearly posted at auditions and have actors identify conflicts. Also have possible dates for a Table Read and Wardrobe Fitting. 5) AUDITIONS – Always hold auditions in a public location. Since auditions are on tape, the entire production team does not need to be present at the auditions. Sometimes it will just be the director, a camera operator and a production assistant to read the scene with the actors. Have a camera on a tripod set up in the audition room and mark the floor where you would like to actor to deliver from. 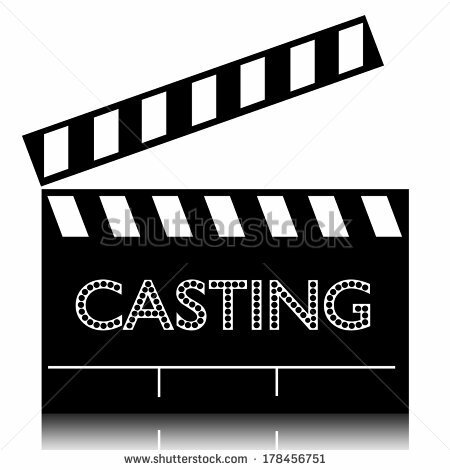 Provide a sign in sheet and have the Production Assistant sign in talent, collect headshot, provide sides. Make several copies of the sides and bring them with you, clearly mark sides for each character. Be clear if you want hard copies of headshots, so much casting is digital now so hard copies aren’t an automatic anymore. Some people won’t show up, you don’t want to work with those people anyway. Others who can’t make it may request to send a tape. Many productions today are asking for actors to tape themselves and send their own footage, so they narrow things down considerably before having the callbacks in person. Which ever route you choose to go enjoy the process…You are one step closer to breathing life into your production!